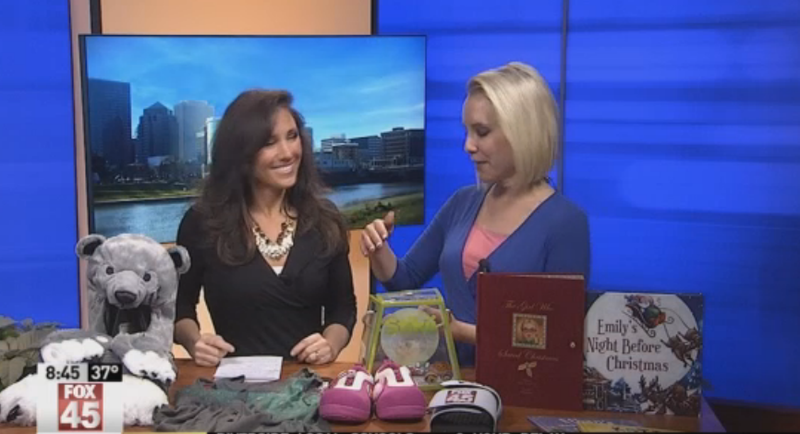 Congratulations to our ClientsÂ Republic of Pigtails, All the Above Clothing, and Stikii Shoes for their feature on Fox 45 Ohio! Let your inner beauty queen shine with the affordable fashion accessories from Republic of Pigtails.Â Each of their unique handmade pieces, ranging from fascinators and headbands to hair clips and pigtail holders, have been designed with a wink and a nod towards the hottest current trends. Many of their beautiful designs are crafted utilizing salvaged and recycled materials for an eco-friendly build that ensures that no two pieces are ever alike. Check them out atÂ republicofpigtails.com! All the Above Clothing is dedicated to creating high-quality, stylishly inspired clothing that fosters self expression. Their artists turn inspiration from quotes, song lyrics, religious text, world leaders and moreÂ into designs that reflect positive, empowering messages. Every month that inspiration is derived from a cause and all profits from that particular shirt go straight to an organization supporting the cause. Clothing with a deeper meaning. Check them out at ata-clothing.com! Stikii isn’t just another boring shoe; it’s a new category in the footwear industry. Inventor Joe Chew said his kids loved shopping for toys, but didn’t enjoy traditional shoe shopping. He found a way to mix the two. With over 100 fun Stik-em accessories, kids are now able to redesign and individualize their shoes every day. Now shoes CAN be fun! Check them out atÂ stikii.com!